PlayTech was founded in 1999 and is the largest online gaming software supplier traded on the London Stock Exchange. They strive to develop industry-leading gaming products available on a variety of platforms in partnership with their licensees. The PlayTech live casino features broadcasting in HD, the fastest streaming in the market and availability of bespoke branding in dedicated areas of casino games. PlayTech offers its live casino service to online operators around the world, sportsbooks, and entertainment brands. Currently, licensees using the PlayTech live casino platform include Betfair, William Hill, Paddy Power and Sky Bet Casino. The PlayTech Live casino has two main studios, one European and the other in Asia. Casino players at European based sites will see the European Casino, based in Riga, Latvia. The Asian market will be taken to the casino based in Manila. From both sites, the company offers the generic tables available across many sites and the bespoke customized tables. These customized options include greater brand awareness by placing operator’s logos on the table and the chips. The dealers at the tables are mostly females in the twenty to thirty years old age range. They are friendly, intelligent, attentive and attractive, making the Roulette experience both entertaining and social. PlayTech offer native speaking dealers for customers in the United Kingdom, Italy and Spain to make the players feel more at home. 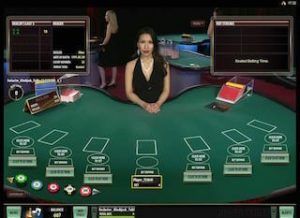 There is a chat feature at the PlayTech Roulette tables, meaning you’ll be able to interact with both the dealer and with other players – other players chatting back through the chat box, the dealer interacting verbally. 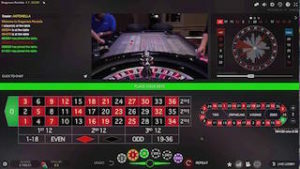 Some online casinos offer the live casino experience separately from their other virtual games; however, others will integrate the offerings within their virtual casino. Having located the live casino, you’ll be asked which game you’d like to play. Having clicked on “Roulette” you’ll be taken to the selection of various tables ranging from the standard European or American roulette to more exotics like Mini Roulette or Marvel Roulette which is based on the famous comic book character. Having selected a table you’ll be ready to play. The classic view is one where you’ll see the wheel and the dealer in a window above the betting area, with a 3D view offered where you’ll see the view you would if sat opposite the dealer in a live casino – the camera button enabling you to switch between these views at ease. Options at the table include re-bets, setting your own favorite bets, going full screen and game settings. On the screen, you’ll be able to see a handy visual history of the results of previous spins. You’ll be able to access a racetrack betting grid at the click of a button. The size of the limits at the tables are set by the individual licensees who use the PlayTech software, however, the company offers a variety of different ways to play the games. 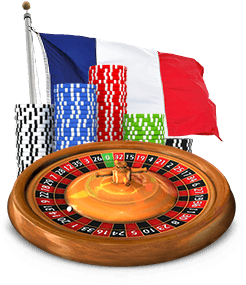 You’ll be able to play both European Roulette and French Roulette at PlayTech. The only difference between the two versions of the game is that in the French game you have La Partage rule, meaning that if the ball were to land on zero you’d receive half of your staked chips back when betting an even money shot. Also when playing French Roulette you’ll see buttons where you’ll be able to bring up “announce bets” and “neighbor bets”. When playing at a live casino supported by PlayTech you might also be able to play at Exclusive games in the Ruby Room – for active players placing higher bets. Some casino sites will also have their own exclusive rooms, meaning only players from that site will be able to access the room. A new innovation at PlayTech is the ability to play at two tables at once through their Dual Roulette option. Clicking on your two tables of choice will see one table stacked on top of another with the wheel in a window to the left-hand side of the betting areas. Here you’ll be able to duplicate your bet, meaning a bet placed at one table will automatically be placed at the other table for double the action. PlayTech offers a real-life casino experience unlike any others, the players feeling close to the action in an atmosphere conducive to the best in Roulette. PlayTech also offers the same real-life experience for players partaking in Blackjack, Baccarat and Casino Holdem.